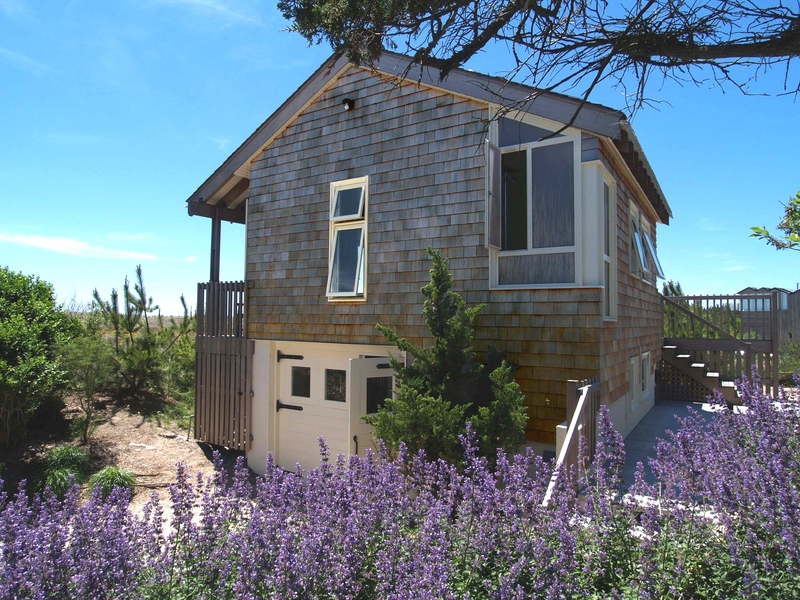 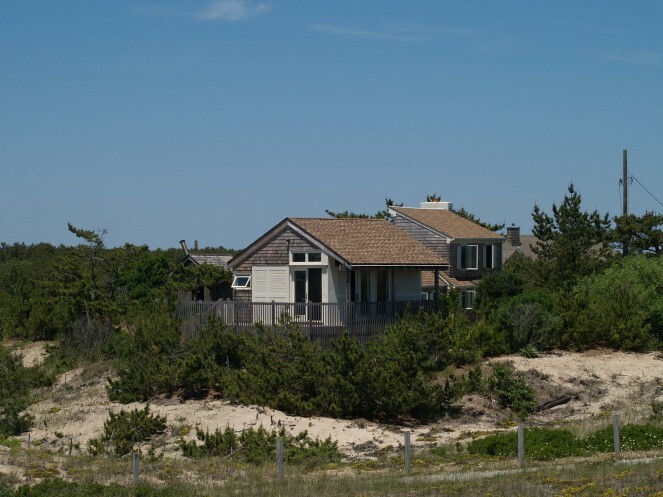 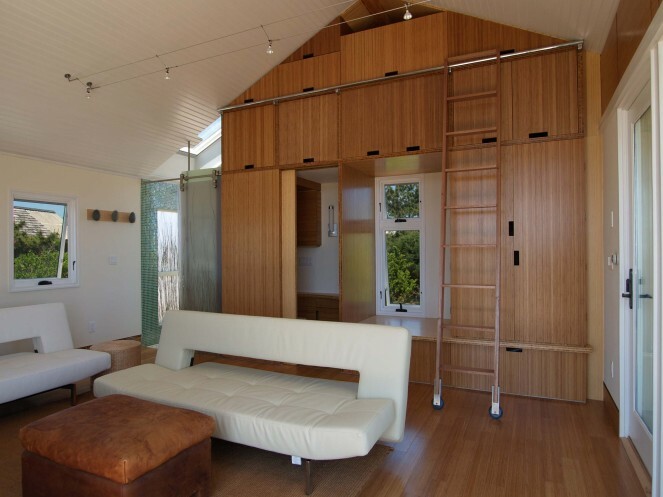 A one-room guest house over a single car garage, located in Amagansett, New York. 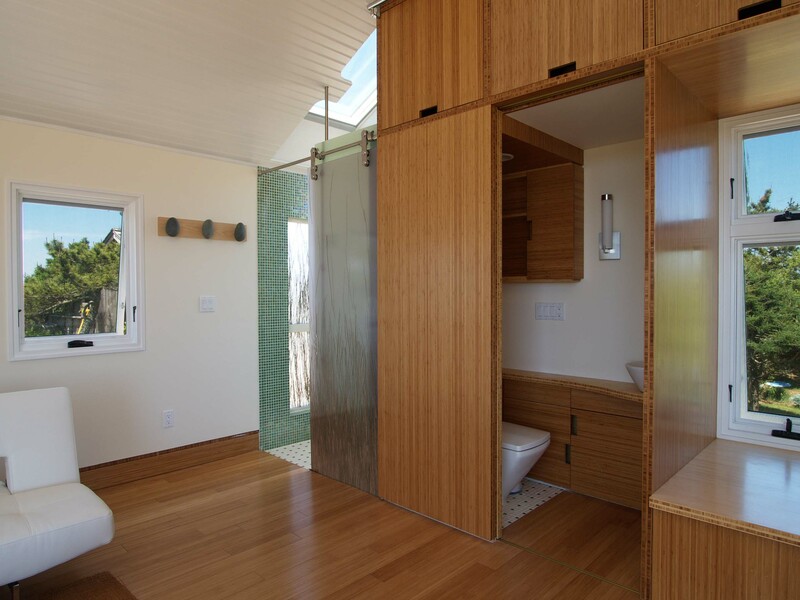 A wall of bamboo cabinets houses storage, toilet room, and shower. 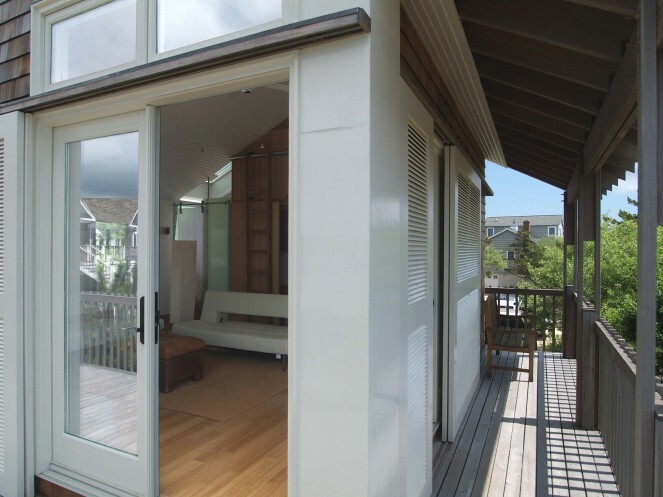 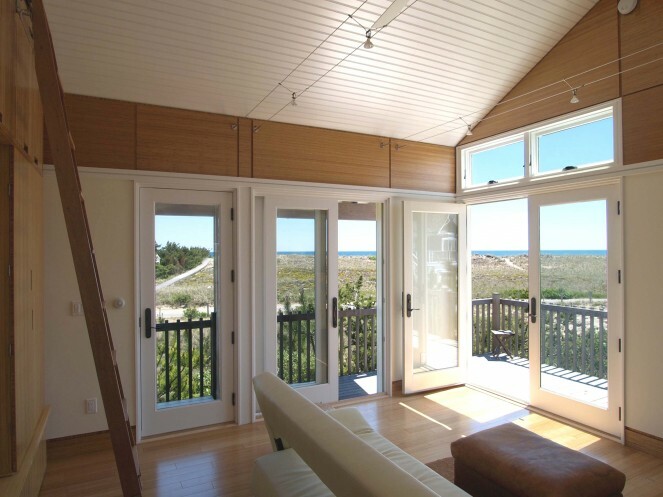 Doors, louvers, and screens operate independently to provide maximum control of views and breezes.